Broken ankles (ankle fractures) are a very common injury and can range in severity from a small crack to a shattered bone that pierces the skin (compound fracture). The ankle joint has three bones (diagram): tibia (shin bone), fibula (bone on outside of ankle), and talus (foot bone). Rosenfeld Injury Lawyers LLC understands the medical aspects that an ankle fracture can have on our Illinois personal injury clients and work to ensure every client receives the full compensation that they are entitled to under the law. Broken ankles can be caused by simple missteps (rolling or twisting ankle), overuse (stress fractures). 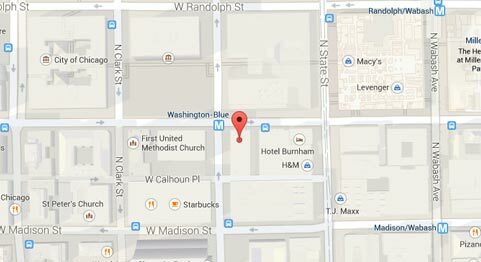 However, our law practice concentrates in representing people injured in Chicagoland accidents including: bike accidents, motorcycle collisions, falls, pedestrian accidents and car accidents. High impact sports are a common cause of ankle breaks. Also, elderly persons, especially those with osteoporosis, are at increased risk for broken ankles. If a broken ankle is suspected, the doctor will perform a physical examination, looking for bruising, swelling pain, deformities, fluid, and testing sensation. 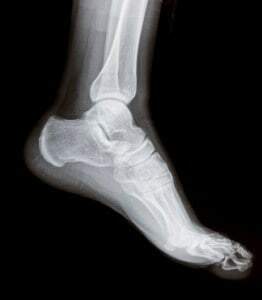 If necessary, X-rays can be used to diagnose ankle fractures and determine the severity of the break, which helps determine the appropriate treatment. Minor breaks are often treated the same as an ankle sprain, where the doctor prescribes a pain reliever, ice, rest, and elevating the limb. Splints are often used to help stabilize the injury and reduce swelling. After swelling subsides, the doctor may put the patient in a cast or a walking boot. However, more serious breaks might require reduction (bones are manipulated back in place) or surgery (pins, screws, plates used to position bones). Most patients with ankle breaks have full recoveries. It can take four to eight weeks for the bone to heal completely and several months to recover strength and range of motion. Follow up x-rays are often used to help the doctor monitor the bones to ensure that they are healing and there is no movement. If surgery is necessary, recovery takes longer and may increase the risk of developing arthritis. Rehabilitation is important to help regain strength in the muscles around the ankle. The Chicago injury attorneys at Rosenfeld Injury Lawyers LLC understand the frustration, fear and pain that accompanies ankle fractures. Our law firm has successfully resolved Chicago ankle fracture cases for clients in a variety of types of cases. Our team works with your best interests in mind to get the best settlement for your case whether it means tough negotiations with and insurance company or taking the case to court. We are on your side and never forget the impact of a significant bone fracture case has both on you or your family.